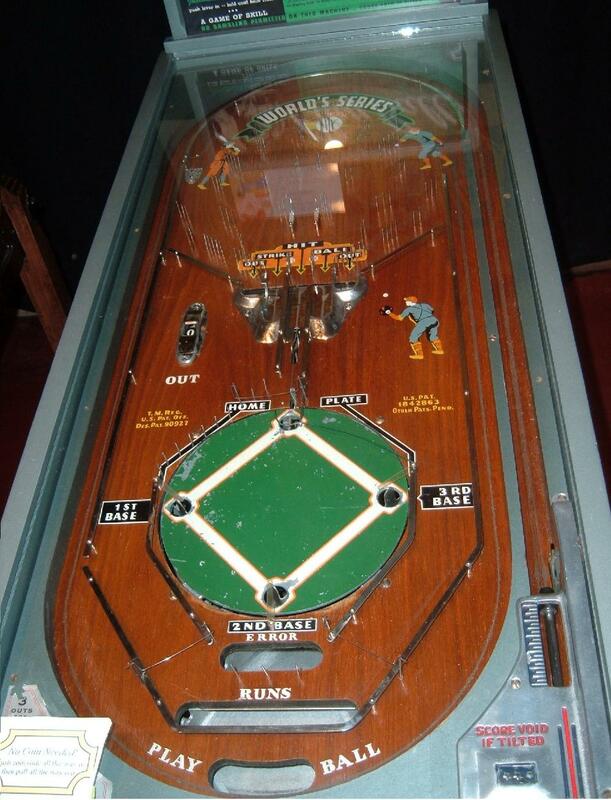 Description: World Series 1934 baseball pinball, Rockola, 5/34, a pure mechanical pinball game (uses no electricity), not a pitch and bat, uses a standard pinball type cabinet. Header denotes Play Ball! A very cool little game where if the player gets a hit, the ball is feed to a "infield". This is mechanical animation where the balls show the players on base. 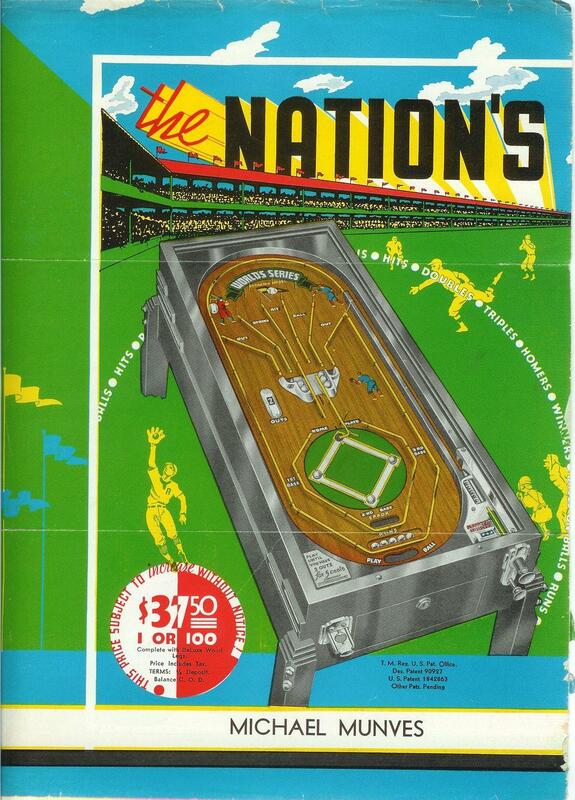 Kind of strange in that home plate is furthest away from the patron, which is unlike all the other pinball pitch and bat games. 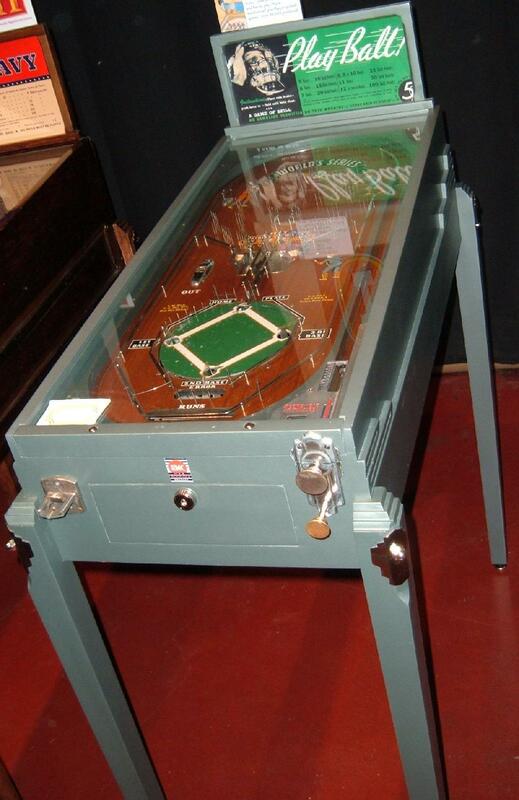 One problem often seen on this game is the metal "hit" ball feeder from the playfield to the moving infield is pot metal, and often is very deterioated. These are impossible to find, and without it, the game is basically useless. 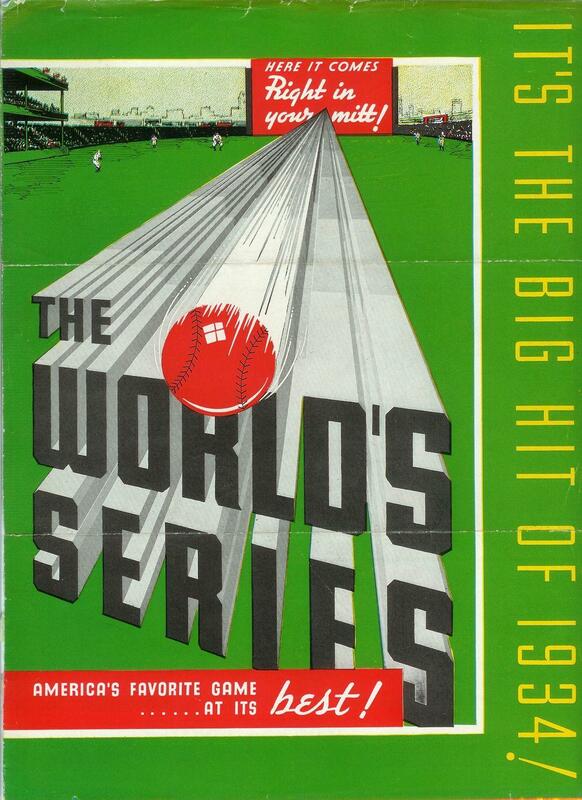 This game was reissued in 1951 by Chicago Coin in a larger electrical format as their Play Ball!.